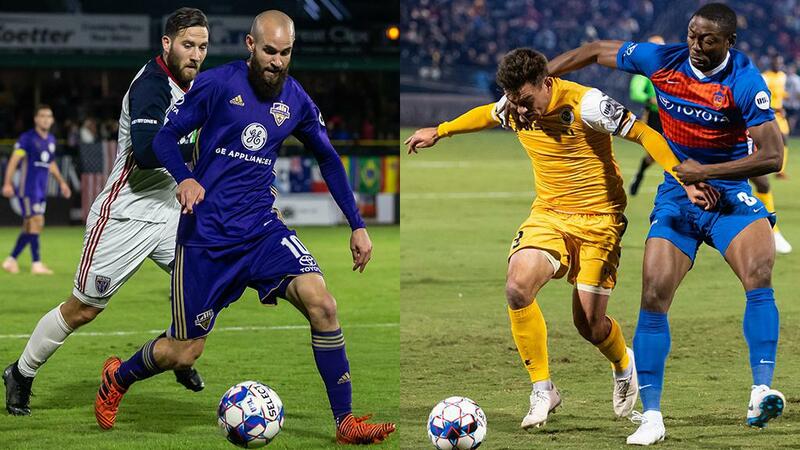 TAMPA, Fla. – The biggest regular season in the USL’s history concluded this weekend as the final four berths in the 2018 USL Cup Playoffs were claimed in dramatic fashion across the 16-game slate on Saturday and Sunday, setting the matchups for the opening weekend of action on the road to the 2018 USL Cup on Thursday, Nov. 8 at 8 p.m. ET on ESPN2. In the Eastern Conference, Nashville SC and Bethlehem Steel FC claimed the final two postseason berths as Ottawa Fury FC and North Carolina FC saw their hopes of a trip to the postseason come up short, with Nashville reaching the playoffs in its first professional season as an organization. 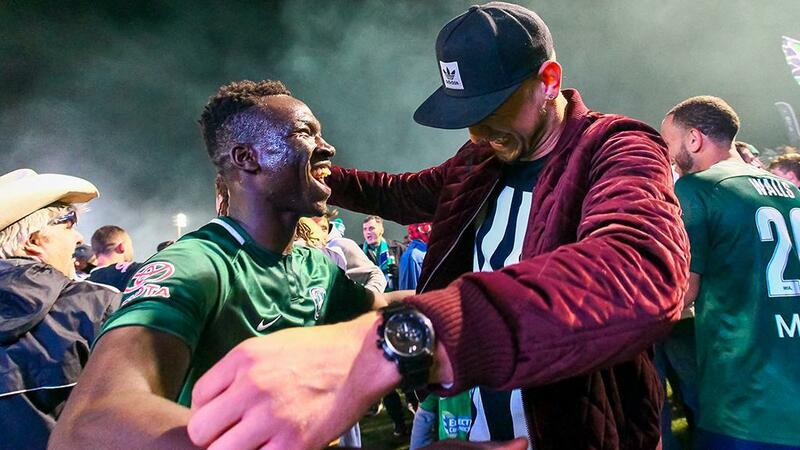 The conclusion of the playoff race in the Western Conference also saw a club reach the postseason for the first time as Saint Louis FC clinched its place before a club-record crowd at Toyota Stadium – Saint Louis, while the defending Western Conference champion Swope Park Rangers were the final side to earn a spot after defeating the LA Galaxy II on Sunday afternoon. 2018 USL Regular Season champion FC Cincinnati will begin its quest to add the USL Cup to its trophy cabinet on Saturday afternoon when the top seed in the Eastern Conference hosts No. 8-seed Nashville SC at Nippert Stadium at 4 p.m. ET. 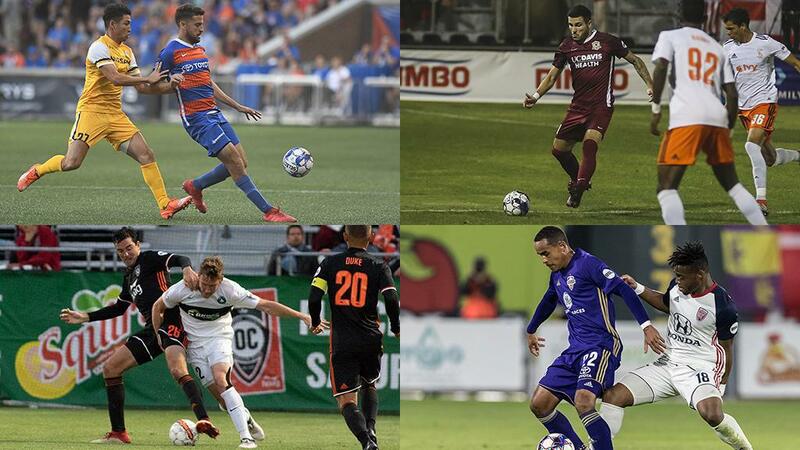 FCC is looking for its first postseason victory in club history after being eliminated in the Eastern Conference Quarterfinals in each of the past two seasons. Cincinnati will also try to avoid the jinx that saw predecessors including Seattle Sounders FC, Orlando City SC, Vancouver Whitecaps FC and the Portland Timbers felled in their quest for the postseason championship in their final seasons before joining Major League Soccer. Defending USL Cup champion Louisville City FC sits at the opposite end of its River Cities Cup rival in the Eastern bracket as the No. 2 seed and will take on No. 7-seed Indy Eleven on Saturday night at Slugger Field looking to become the first team to win the championship in back-to-back seasons. Saturday night will also see No. 3-seed Pittsburgh Riverhounds SC host its first postseason contest at Highmark Stadium when No. 6-seed and Pennsylvania rival Bethlehem Steel FC visits, while 2012 USL Cup champion and No. 4-seed the Charleston Battery will host 2016 USL Cup champion and No. 5-seed the New York Red Bulls II at MUSC Health Stadium in a rematch from the same stage last season that saw the Red Bulls II claim a 4-0 victory. The Eastern Conference Quarterfinals will see two rematches from the final weekend of the regular season as No. 2-seed Louisville City FC hosts No. 7-seed Indy Eleven and No. 1-seed FC Cincinnati hosts No. 8-seed Nashville SC. The 2018 USL Cup Playoffs will kick off on Friday night in the Western Conference when No. 3 seed Phoenix Rising FC plays host to No. 6-seed the Portland Timbers 2 at the Phoenix Rising Soccer Complex in a contest that marks both Rising FC’s first home playoff game in club history and T2’s first postseason contest ever. 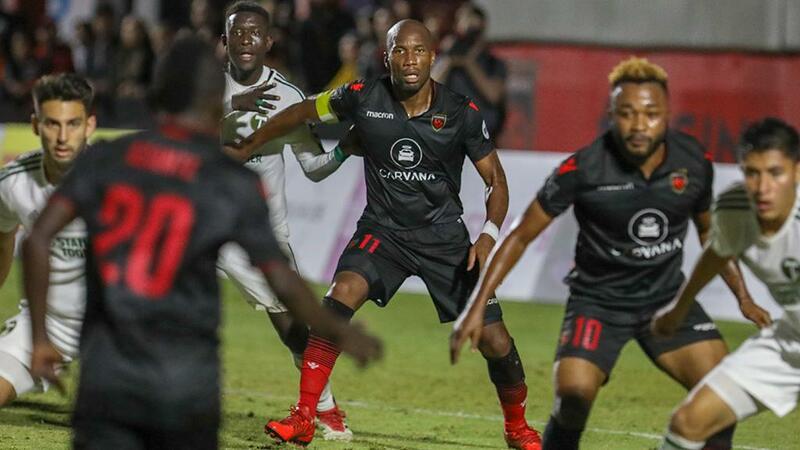 Portland took a 1-0 victory in Phoenix to seal sixth position in the Western standings and will get an immediate return to the desert to open its debut playoff appearance. Saturday brings the remaining three Western Conference clashes as No. 4-seed Real Monarchs SLC plays host to fellow postseason returnee and No. 5-seed Reno 1868 FC for an afternoon kickoff at Zions Bank Stadium. Later in the night, Western Conference No. 1-seed Orange County SC hosts the first postseason contest at Champions Soccer Stadium when it faces No. 8-seed Saint Louis FC, while No. 2-seed and 2014 USL Cup champion Sacramento Republic FC plays host to No. 7-seed Swope Park Rangers at Papa Murphy’s Park. The 2018 USL Cup Playoffs will be conducted as a single-elimination, fixed-bracket tournament with the higher seed playing host in each round through the Eastern Conference and Western Conference Final. The 2018 USL Cup will be held at the venue of the conference champion with the superior regular season record on Thursday, Nov. 8 at 8 p.m. ET, with the game to be aired on ESPN2.